You might have never noticed but many times you have been exploited by making you feel guilty of something that you have never been related to directly. Many self-centered people, to achieve their own big interests, search for an innocent victims and play with their psychology. 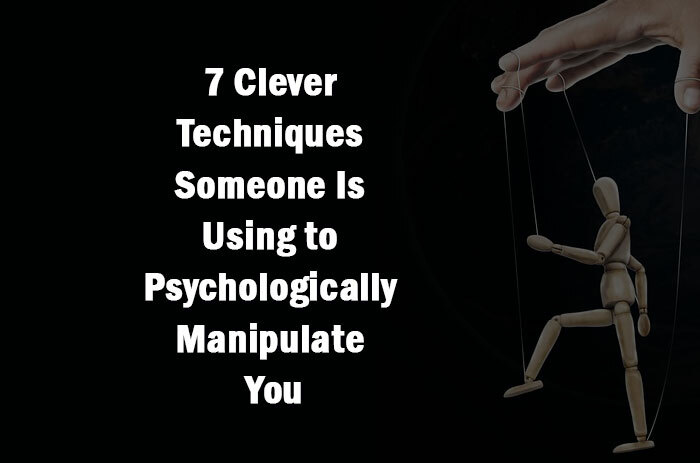 They can use methods which are abusive, deceptive, devious and exploitative something that will give them a leverage to pull the strings of a victim to their advantage. Your perception is ruled by someone else’s underhanded techniques to psychologically manipulate you. Uncovering your strengths and weaknesses in from of a person who wants them the most is a total failure. In sales, a salesperson tries this very method to reveal what interest the customer best and what not? But a person who is intending to hurt you can get an edge with a weakness you just revealed while narrating you side of story. To make you engage into a conversation that may give a useful piece of information is the ulterior motive of a manipulator. Exaggeration of facts is the next move of a manipulator. With overwhelming knowledge they will try every effort to gain your credibility and turn the odds in their favor. To save oneself from such turmoil it is required to make wise judgment and timely walk away from getting into a difficult situation. A schemer will pull you into a situation to conform his/her demands by instilling negative emotions. By raising voice during an aggressive argument is quite a technique of such manipulators. Deal with such situation by keeping a level-headed competition or simply say not to any demands. Manipulators will make you feel guilty of your weaknesses everytime you walk past them. It may be your work habits, personal life or appearance they will try to create an environment of insecurity or inferiority around you. Your easy-going nature even with their sarcastic jests will defeat them and will give you an upper hand. Step two is making them hear loudly that this type of talk is unwanted. In a working relationship you can be the victim of someone else’s spoiled broth. By playing dumb in a situation, a manipulator can put all the blame on you and keeping his/her reputation safe. Your best move is to bravely refuse to take the responsibility of any work that does not comply with your job description. They will portray truth in front of you that will be twisted and not entirely depended on facts. The main characteristic of their personality is that they are shrewd liars. In order to gain some leverage they will make you appear obligated while they save their own interest. By hiding the true facts they will feed you on lies that will provoke you on doing a certain action which you will regret afterwards. To control the victim’s ability to take decision manipulators will exert undue pressure in the form of urgency and will take away the chance from you to think in the best interest of everyone. It’s a sham they are experts in and it takes no time for them to design a theatrical display to manipulate situation and mold it to their underlying motive.